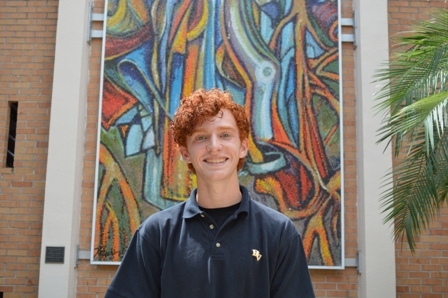 Griffin Kupsaw has been named Semifinalist in the 2017 National Merit Scholarship Program, making him one of only 16,000 students nationwide to be recognized among the 1.6 million juniors who entered the competition by taking the 2015 PSAT. Being named Semifinalist puts Griffin in a group representing less than one percent of U.S. high school seniors. Next, Semifinalists can be considered for qualification as Finalists by completing the National Merit Scholarship Application, which also provides an opportunity to compete for scholarships. Griffin is in his senior year at Verot and resides on Sanibel.